MWC: Dragon TV to power voice control on Panasonic's 2012 TVs | What Hi-Fi? Nuance's Dragon TV platform, first seen on LG's Magic Remote, will be used to power voice control on all 3D models in Panasonic's 2012 TV range. The feature – called Voice Assist – is exclusive to Panasonic TVs sold in the UK. The announcement, made at Mobile World Congress in Barcelona today, means UK owners of Panasonic's forthcoming 3D televisions will be able to control them and search for broadcast and online content using voice control. The system 'speaks' its way through all the functions on the TV. "The digital living room is quickly proving to be the next big opportunity for voice control, as it lets consumers engage with their TVs in a way that is natural and intuitive," says Michael Thompson, senior vice president and general manager, Nuance Mobile. "By integrating Nuance's voice technology, Panasonic can empower consumers to enjoy TV watching with voice guidance technology in a more universal way," adds Hiroyuki Iwaki, group manager of TV planning, Panasonic. 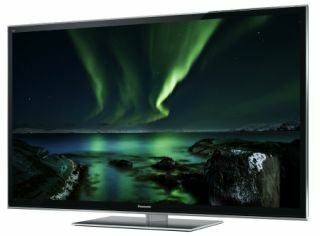 Full details of Panasonic's entire 2012 TV range can be found in our extensive blog.